Pastel hair shades are fading fast. Not only literally, but also from the hair trends of the moment. Instead, natural hues and more vibrant tones which do not require bleaching your hair first, emerge as chic and sophisticated. Your beauty routine in 2016 just got easier! Hannah, our model, confessed she didn’t own any makeup. Her hair was also “virgin”, which is hair stylist code for someone whose hair is completely natural. Our creative team wanted to show simplicity and unembellished beauty. 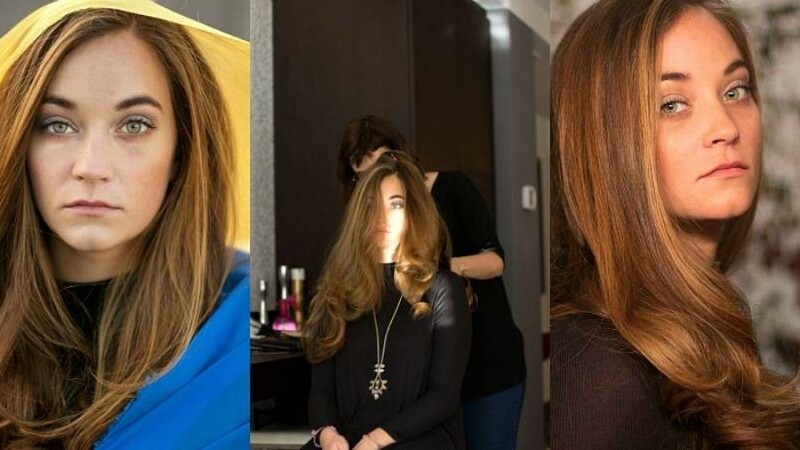 For this project the only hair coloring technique which made sense was balayage. It creates beautiful dimension and grows out exceptionally well, with no hard-line of demarcation. Highlights look so natural and pretty! Crystal Lake’s styling concept: For longer than average hair, a smooth, soft hairstyle with tousled waves at the ends reflects understated glamor. Balayage highlights, side-part, smooth hair and barely there makeup. A casual glam style that is effortlessly chic. Look beautiful every day!